For the last 3 years there is no electricity generating projects have been launched. Solar panels fixed on the top of the roof is the only electricity generating system that add to the national grid. We have to reduce electricity emergency purchases as much as possible. “The ministry of power always attempt to provide electricity in an affordable price and we try to avoid putting the burden on people. The Ceylon electricity board faced some losses due some reason beyond its control. We try to eliminate such losses. Our need is produce electricity in a low price by using the resources available in our country. We will take actions to find out the problem faced by the people who involved in generating electricity in a small scale by solar power and the problems faced by the distributors and to provide a solution for their problems. Emergency electricity purchase is the problem we have been facing for many years. When we are trying to do this kind of activities some feel that we are doing business. We want to promote the generation of electricity by solar power. Always we must extend our support to them. We must carry forward this activity in a way that benefit the consumers, the electricity producers and the Ceylon electricity board. This kind of activities should bring economy related benefits to all. For the last 3 years considerable amount of work in relation to producing electricity have not done. Only the electricity produced by solar power which is fixed on top of the roof add to the national grid. We will pay our attention towards this and we will introduce a new policy on power and energy to the government in March said Hon. 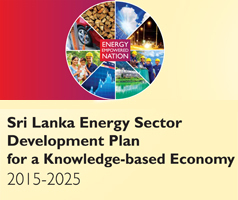 Ravikarunayake minister of power, energy and business development. Yesterday the discussion was held at the premises of power, energy and business development where the small scale electricity produces by solar power, representatives of the distributors and Sri Lanka sustainable power Authority also participated in the discussion. They had long discussion including the problems faced by solar power, small scale electricity generators and the distributors. The problems they have been facing pertaining to land acquisition and distributing the electricity they produced and save the electricity problems faced by solar power generating people regarding getting permission when they want to launch new projects and obtaining loan etc…Minister requested them to submit a report within 2 weeks including all the problems faced by small scale solar power generators, distributors and others those who involve in this programs. 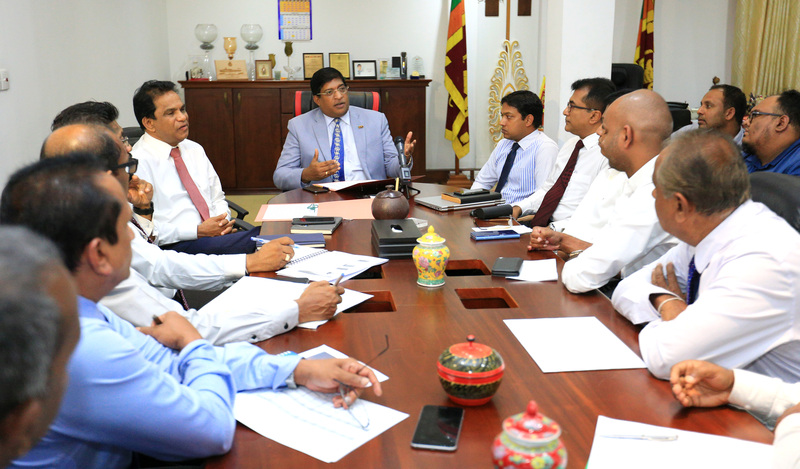 Further Honorable minister Ravikarunayake said he would take necessary steps to provide the infrastructure facilities for them and other facilities required for them to pursue their business activities based on the reports.